The St. Mark’s Teacher Institute was founded in 1991 with a grant from The O’Donnell Foundation to provide professional development opportunities for teachers throughout the Dallas/Ft. Worth metroplex. Every other year, more than 100 teachers gather for the Institute, attending classes, hearing special guest speakers, and attending various seminars. Since its inception, more than 700 teachers from Dallas and the surrounding communities have attended the Institute. Notable speakers have included Jim Burke, Nikki Giovanni, Horton Foote, Dr. Amy Freeman Lee, Luis Hernandez and Carol Jago. Participants spend the day at St. Mark’s and attend workshops with Master Teachers and other faculty members who share teaching techniques and proven methods in English and Middle School humanities instruction. In addition, attendees have the unique opportunity to visit Upper School English and Middle School humanities classes and observe the culture and operation of a lively boys school environment. The Institute involves senior St. Mark’s faculty as peer mentors and provides numerous opportunities for teachers to learn from the presenters and from each other. 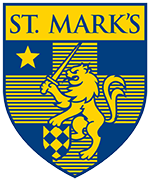 The St. Mark’s Teacher Institute, in many ways, embodies St. Mark’s long-standing commitment to support education in the greater Dallas community. The next teacher institute will be held in Fall 2019. On Friday, October 27, more than 75 teachers from across North Texas gathered on campus for the 2017 St. Mark’s Teacher Institute. Participants spent the day attending workshops hosted by St. Mark’s English and humanities teachers, sharing their instructional techniques and proven methods with courses such as “Teaching Character Through Leadership,” “21st Century Information-Seeking Skills,” and “Through Eyes That See: Gatsby Reconsidered.” Teachers also witnessed these practices in action, observing St. Mark’s faculty in the classroom. One of the day’s highlights was keynote speaker Jim Burke, a nationally-recognized leader in English and language arts education. He is the bestselling author of numerous books, including the classroom staple The English Teacher’s Companion. He currently teachers Senior English at Burlingame High School, where he has worked since 1992. Jim Burke spent the day on campus, attending classes with the other Institute participants and leading a workshop covering The Daily Record, an online lesson plan tool he created. In the afternoon, he delivered his keynote lesson, Improving Academic Reading and Writing by Design. The St. Mark’s Teacher Institute was founded in 1991 with a grant from The O’Donnell Foundation, and has also been generously supported by the Hudson Foundation, to provide increased professional development opportunities for teachers throughout the Dallas-Ft. Worth metroplex. The program is directed by two members of the St. Mark’s faculty – Lynne Weber Schwartz, Trustee Master Teacher, and Rebecca Jenkins, humanities teacher.